Harvard Chemical Research was founded in Atlanta Georgia in 1986 with the mission to provide cleaning professionals with the best products and services all at a competitive price. Red dye stain remover! Stain-Blaster is the premier red dye remover for use on fabrics, carpeting, or clothing. 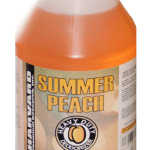 The premier red dye remover for use on fabrics, carpeting, or clothing. 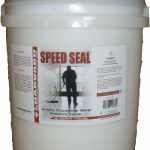 Non-flammable, hard, clear undercoating for sealing all types of floors.